Newcomer Family Obituaries - Liza Fawn Gooch 1965 - 2019 - Newcomer Cremations, Funerals & Receptions. 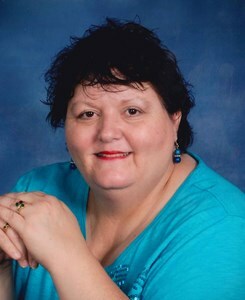 Liza Fawn Gooch, age 54 of Kettering, passed away Friday, March 15, 2019. She was born January 10, 1965 in Xenia, Ohio the daughter of Charles Lewis and Linda Hovan. She is preceded in death by her father, Charles Lewis; maternal grandparents, Anne and John Shaw; and paternal grandparents, Bob and Betty Lewis. Liza is survived by her son, Stephen (Tabitha) Allen II; daughter, Faith McKee; mother, Linda (Thomas) Hovan; brother, Danny Lewis; as well as numerous aunts, uncles, cousins and friends. Liza is a veteran of the United States Army. She enjoyed bowling and loved her Cincinnati Bengals. Visitation will be held on Monday, March 25, 2019 from 10:30 am to 11:30 am at Way of the Cross Church (612 Beatrice Drive, Riverside, Ohio 45404). Funeral service will begin at 11:30 am. Burial will follow in Dayton National Cemetery at 1:45 pm with military honors. To share a memory of Liza or leave a special message for her family, please click the "Share Memories" button above. Add your memories to the guest book of Liza Gooch. It seems like yesterday we were in high school and trying to figure out what our young lives were about and how to start on the quest of growing up. You and I both joined the military and we never saw one another again. All the years went by and I thought of you often and asked about you. I remember your smile and your laugh and of course what a good hearted person you were. Fast forward 36 years later, and I see my dear dear friend has passed away on Facebook. I was saddened that we lived so close but never knew. I was saddened my dear friend left this world too early and I am sad your family has to live their lives without you. I can only relive the fun times we had and pray that when my time has come, that we can meet and laugh once again. Liza was one of the kindest souls I was ever blessed with knowing. My little boy still carries around the blankie she got for him almost 3 years ago. Each time I look at it I think of her and smile. Liza will be dearly missed. My sincerest condolences and prayers for her family.